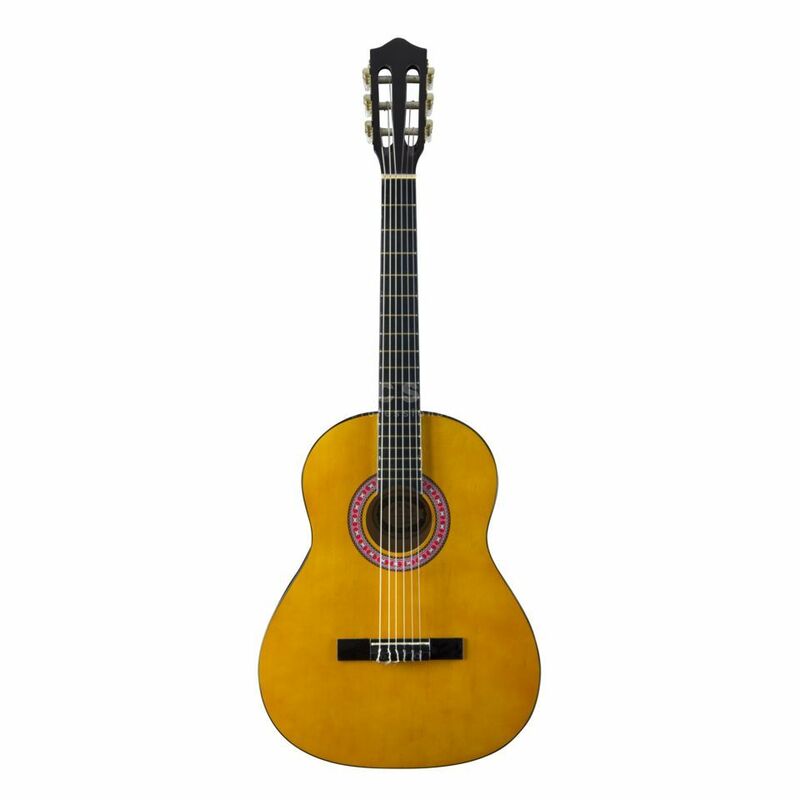 The J&D CG-1 3/4 6-String Classical Guitar Natural is a 3/4 sized classical guitar, that's great for schools and students. The main body is made from selected Basswood, giving a rich tone with great sustain. A Spruce top, complimenting the back and sides, provides a projective, open sound. This marriage of woods gives this very affordable guitar a premium tone. A Mahogany neck is joined to the body and is topped with a Rosewood fingerboard. Being a 3/4 sized guitar makes it very manageable for children to get their hands around. The guitar is a great instrument to teach a child and start their journey in the world of music. At this affordable price, you really can't go wrong!